Well-made leather accessories add flair and finesse to any wardrobe. You can experience the luxury of custom leather belts, gloves, and clutches without the custom expense. 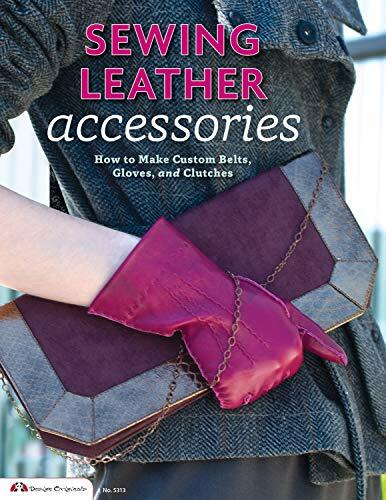 This book shows you how to sew your own finely crafted leather accessories that will last for years and years of use. With the expert techniques shared in Sewing Leather Accessories you no longer have to rely on the limited options of ready-made items. Master the basic methods and equipment used in working with leather. Learn the right way to perform every step of the process, with full-size patterns, detailed instructions, and easy-to-follow illustrated diagrams. You'll find classic, timeless projects here for making three different belt styles, fitted gloves for both men and women, and a chic clutch that also does duty as a shoulder bag. Each design can be adapted to match your personal style with endless customisation options.